Doing some Christmas or birthday shopping and look for the perfect present? Well, if your family member or friend loves sloths, you’re in the right place. 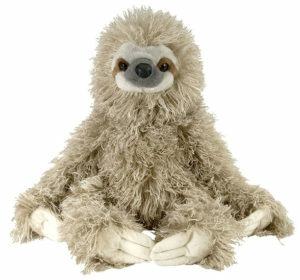 These cuddly, chill animals are a favorite of many people and there are tons of creative and fun sloth gifts available. Though you can’t have a sloth as a pet, there’s plenty of other cuddly options to fulfill your loved one’s sloth admiration. Check out our suggestions, 10 creative and fun gifts you won’t find in stores. Second best to an actual sloth as a gift, you can get your sloth lover this cuddly and cute sloth plush. 12″ tall it’s perfect for display, cuddling, or hanging in the corner like a real sloth. This is the perfect gift for children or adults. Check out this cute infinity scarf. The beautiful illustrations depict tiny sloths hanging from branches. The lightweight fabric make this a perfect fashion accesory for any time of year. 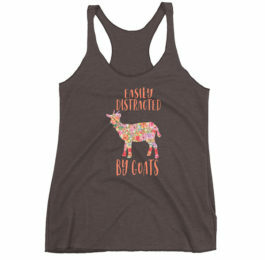 Available in blue, green, pink, and hot pink. What better way to show some sloth love than dressing like one? These super soft and warm onesies will keep your loved one toasty during cooler winter months and help them celebrate their favorite animal. Features three finger sleeves and a sloth face on the hood. This also makes an easy Halloween costume. 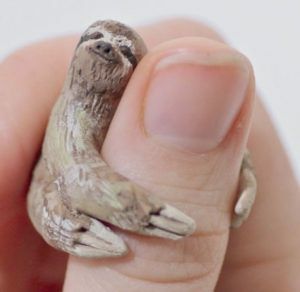 There are plenty of cheap China made sloth rings out there. This one is unique in that it is handmade from clay by CuriousBurrow. They’re individually sculpted and handpainted with realistic details so it looks just like a tiny sloth is hugging your finger. Any sloth lover will die from cuteness when they see this unforgettable gift. These socks create a bold fashion statement, and that statement is “I love sloths!” These teal socks from Sock It To Me features dorable sloths clutching to delicious donuts. These socks go great with the sloth onesie and make a great stocking stuffer (because they’re socks! Hah!). This a great gift idea for sloth lovers who are crafty. 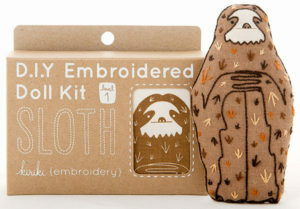 This sloth embroidery kit comes with everything you need to make your own embroidered sloth doll. It’s a beginner kit that only requires learning 2 stitches, so it’s a great gift for kids or adults. Now this is something you definitely won’t find in stores. This handmade 100% cotton summer dress features a cute print of a sloth hanging from a heart. Look stunning and show off your love of sloths. 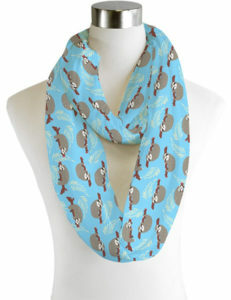 This makes a great gift for a girlfriend, wife, or mom who loves sloths. 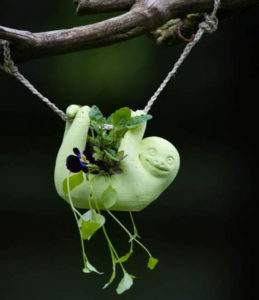 This is an adorable gift for sloth lovers who enjoy growing plants or gardening. This little sloth has a hole in its belly for planting succulents or air plants. It can then be hung from a rope anywhere in your house. 3D printed in four size options and 24 color options, these planters are made to order. If your sloth loving friend is also a tea drinker, this is a must buy gift! 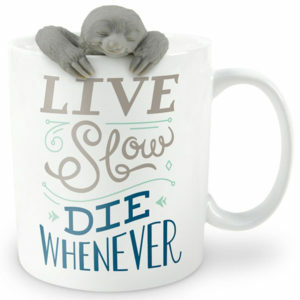 Combining an adorable sloth shaped tea infuser with a mug featuring the sloth creed “Live slow, die whenever,” this is an absolutely perfect sloth gift set. Add some of their favorite tea and this will become an unforgettable gift. 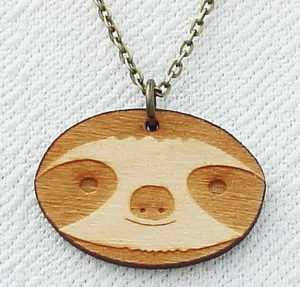 This is another adorable handmade jewelry piece that any sloth lover will gush over. Made from birch wood, it features a cute sloth face and is inexpensive enough to make a great gift for a kid or affordable stocking stuffer. Everyone will feel happy when they see this cute face. This is a funny and cut gift any sloth lover will appreciate. Taking a play on the lyrics from the Snoop Dogg song Drop it Like It’s Hot, this shirt tells you to drop it like a sloth. It also features a cute illustration of a sloth hanging from a tree branch. This t-shirt is the perfect sloth gift for any age, with sizes available for Men, Women, and Youth. There’s also a choice of five colors: asphalt, black, red, blue, and navy. Also available as a hoodie. If you want to give a truly personal gift, this is perfect. MS Custom Calligraphy makes hand painted name signs where each letter is an illustration of a sloth. These signs are handmade to order, making each one unique and custom to your giftee. 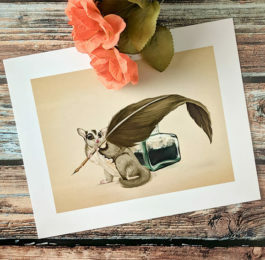 This is the kind of gift you cannot find in stores that will become a treasured piece of art. This gift is perfect for the giftee to display their sloth love. This 4″ decal features an illustrated sloth with a banner that says “Nap all day, sleep all night, party never.” It perfectly encapsulates the easy going lifestyle of sloths often embodied by sloth fans. This decal works as a bumper sticker but is also perfect to display on a laptop or any other hard surface. It’s perfectly sized to slip into a birthday card or it makes an affordable stocking stuffer. If you’re looking for a small gift, or the perfect thing to add to a sloth gift bag, check this out. 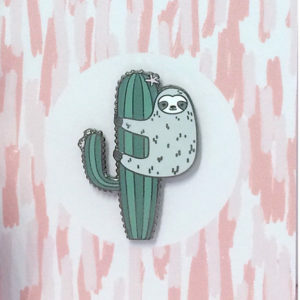 This adorable enamel pin features a sloth clinging to a cactus. Scientifically accurate? No. Undeniably cute? Yes. About 1.5 inches tall, this pin is perfect to display on a bag, jacket, or shirt. Available as a pink or gray sloth. If the person you’re shopping for is a baker, you have to get this! 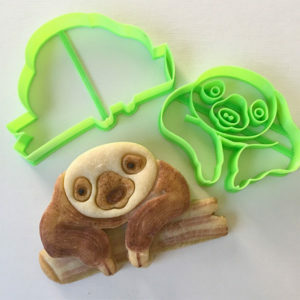 This cookie cutter set is meant to create adorable, 3D cookies of baby sloths. Because of the layering technique, you’re able to get lifelike details on the cookie so you can clearly see the sloth’s face and claws. These cookie cutters can be used to bake cookies, shape fondant, or even to play with play dough. The seller even includes a recipe to get you started making these cookies. 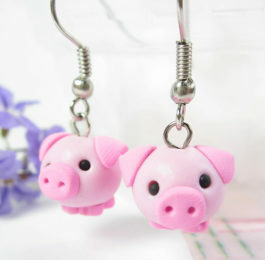 They’re almost too cute to eat. Popsockets grips are perfect for easily holding your smartphone or tablet. This one is designed especially for sloth fans. 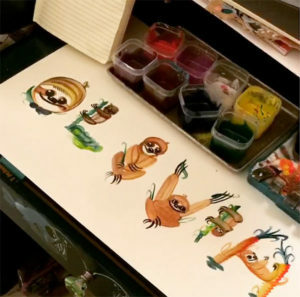 It features the cute illustration of a sloth hanging from a branch. Perfectly sized to give as a stocking stuffer.